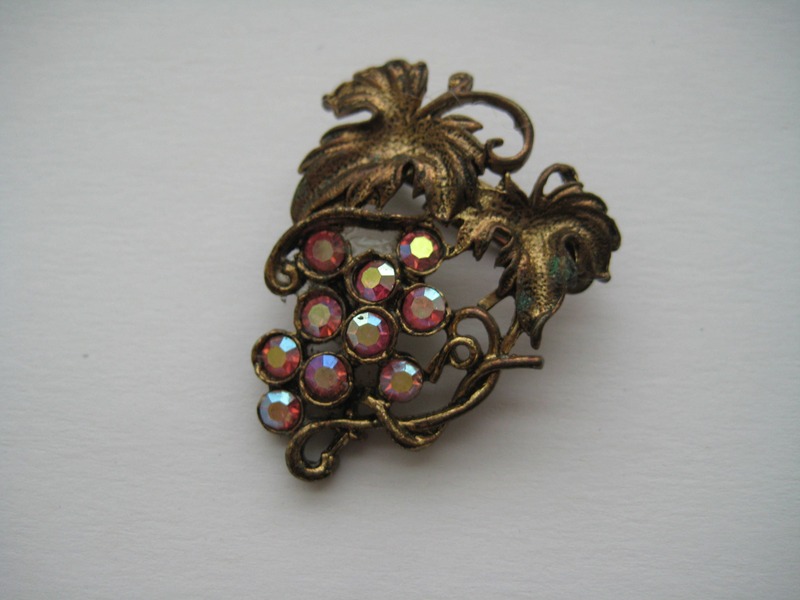 Pink aurora rhinestone grape cluster brooch. 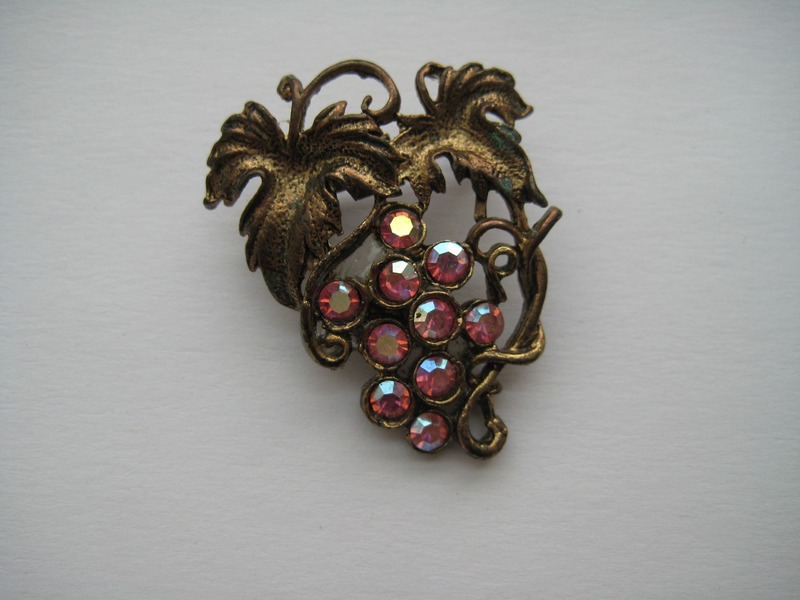 Gold tone/bronze color metal leaves and stems set with pink rhinestone grapes. 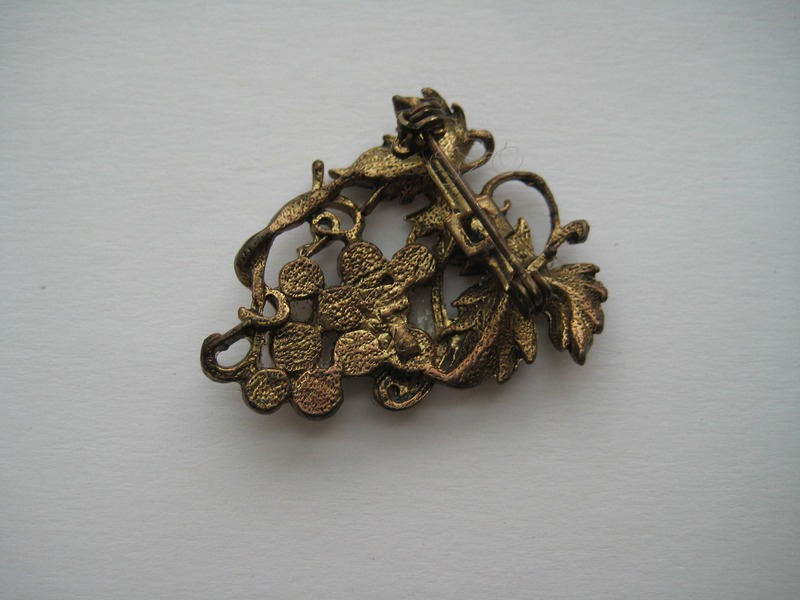 Tasteful size at 1.5 inches tall. Circle close pin attachment. Unsigned. 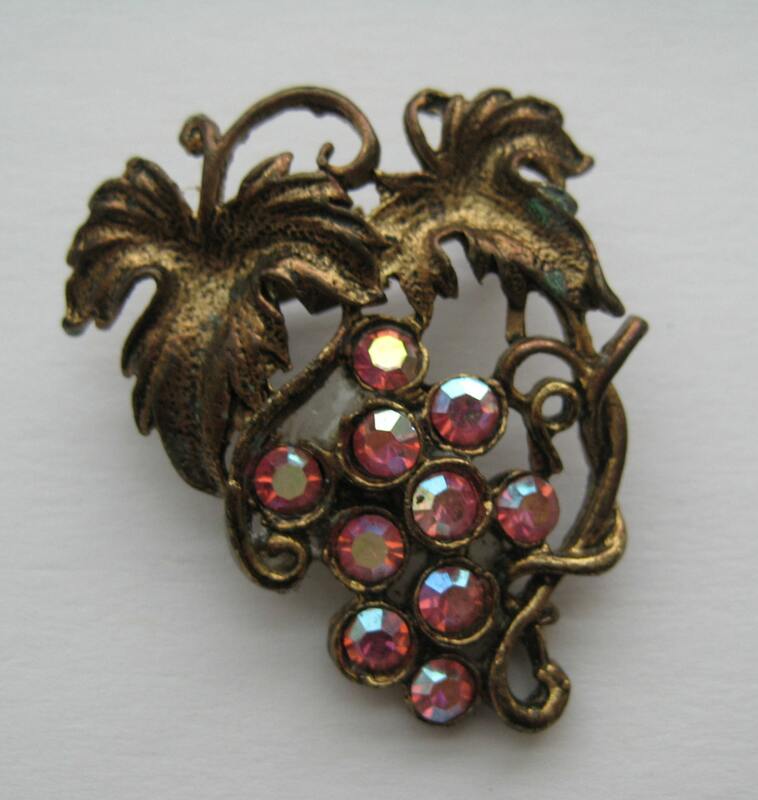 Perfect for wine tastings!